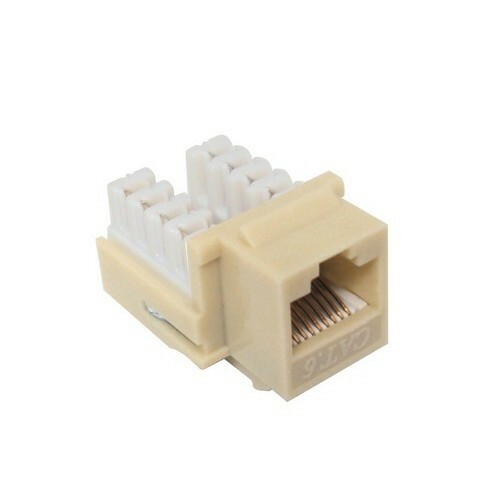 Cat5E RJ45 Wall Jack Modular Plugs Solid Cable - Modular Plugs for Voice Data Cable & Patch Cords. 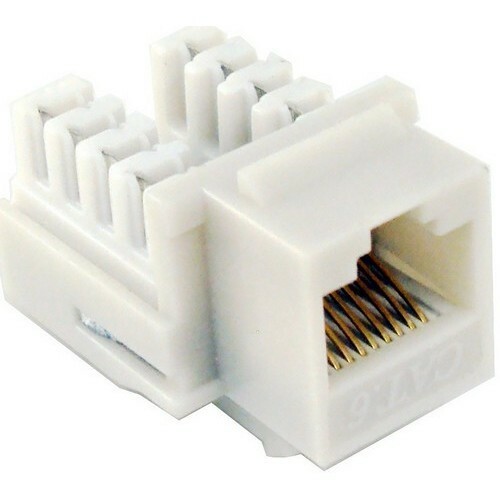 CAT6 RJ45 Wall Jack Modular Plugs Stranded Cable - Modular Plugs for Stranded Cable Voice Data Cable & Patch Cords. 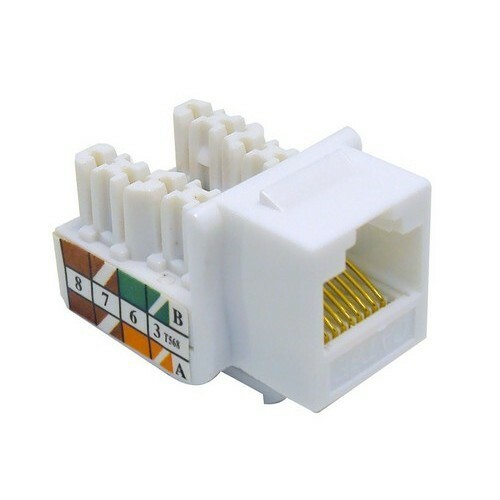 Cat6 (RJ-45) Unshielded Keystone Jacks - Tooless Ivory - A color-coded Cat6 Keystone Jack for Datacommunications applications. 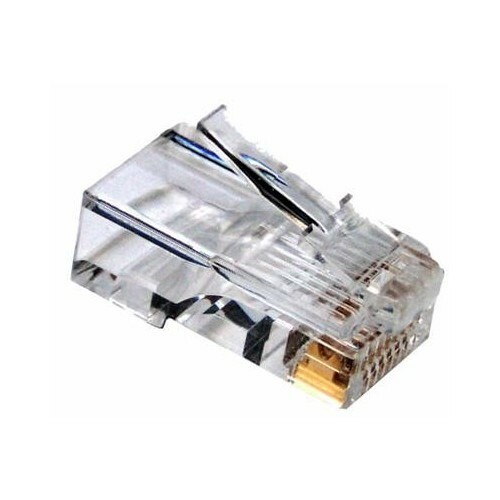 Cat5E (RJ45) Unshielded Keystone Jacks White - A color-coded Cat5E Keystone Jack for multiple applications. 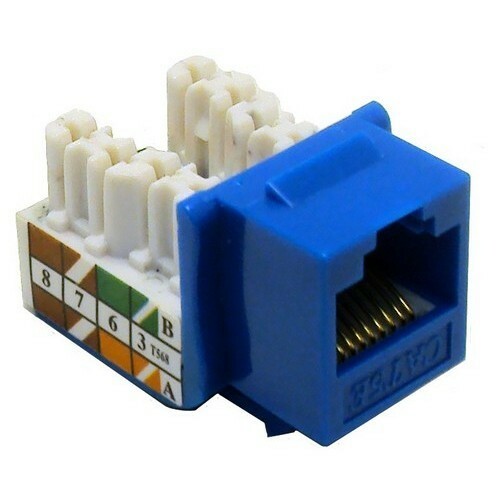 Cat6 (RJ45) Unshielded Keystone Jacks Blue - A color-coded Cat6 Keystone Jack for Datacommunications applications. 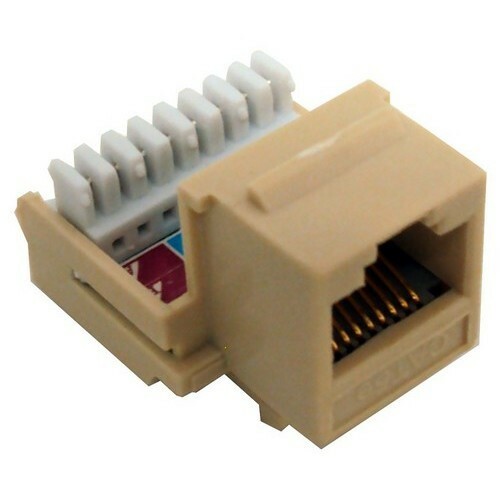 Cat6 (RJ45) Unshielded Keystone Jacks Ivory - A color-coded Cat6 Keystone Jack for Datacommunications applications. 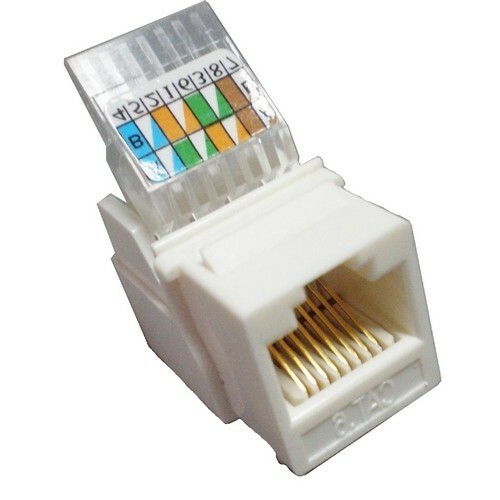 Cat6 (RJ45) Unshielded Keystone Jacks White - A color-coded Cat6 Keystone Jack for Datacommunications applications. 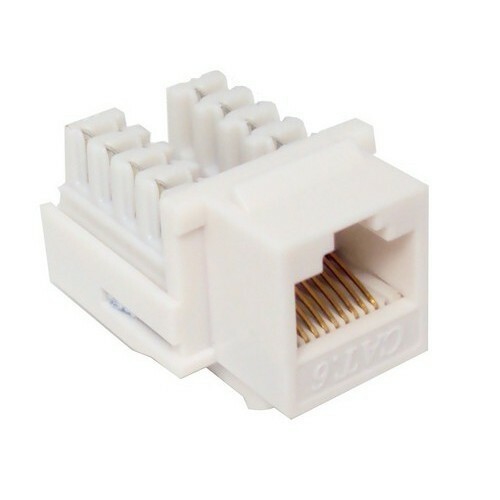 Cat6 (RJ-45) Unshielded Keystone Jacks - Tooless White - A color-coded Cat6 Keystone Jack for Datacommunications applications. 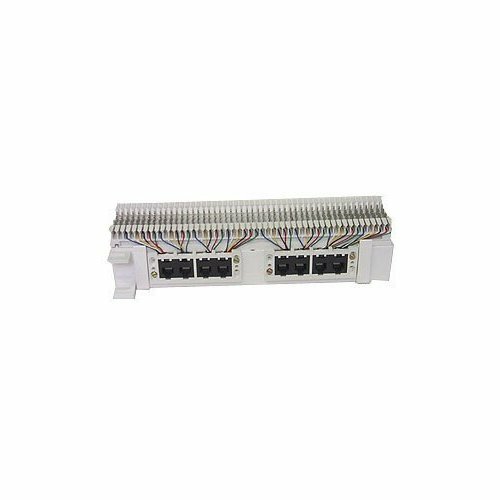 RJ12 Cat3 Wall Jack Modular Plugs 6 Position 6 Conductor - Modular Plugs for Voice Data Cable & Patch Cords. 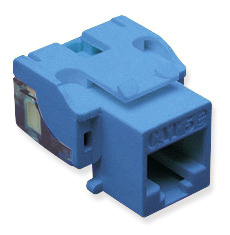 Cat5E (RJ45) Unshielded Keystone Jacks Blue - A color-coded Cat5E Keystone Jack for multiple applications. 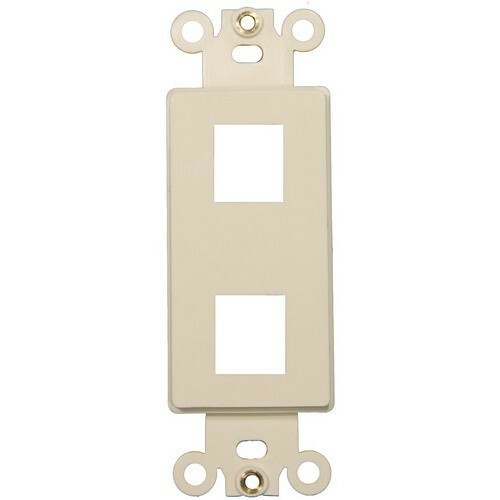 Surface Mount Wall Jack Ivory - Compact and subtle Surface Mount Jack. 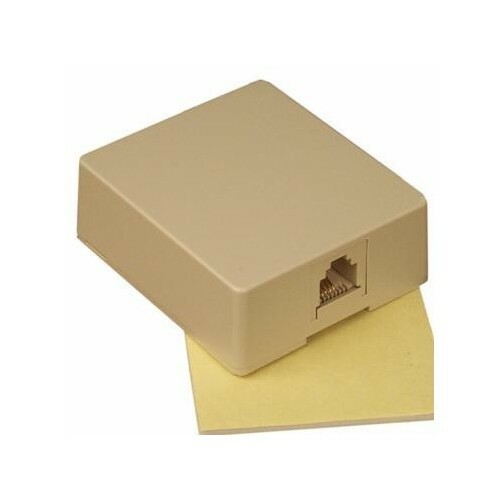 Master Box Qty: 1 This item does not ship to APO/FPO addresses. 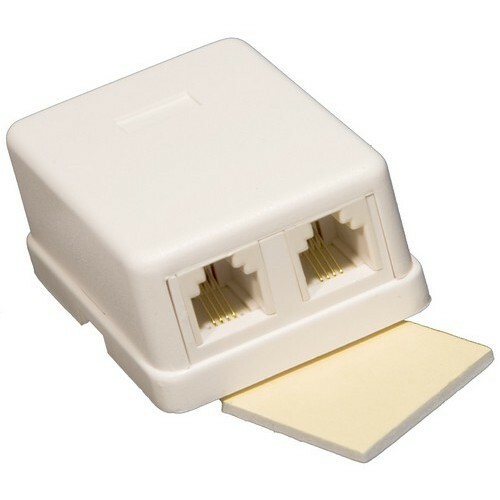 Cat5E (RJ45) Unshielded Keystone Jacks-Rear Entry Ivory - A color-coded Cat5e Keystone Jack for Data Communications applications. 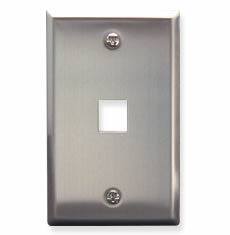 Double Surface Mount Wall Jack White - A small Double Surface Mount Jack to be used anywhere. 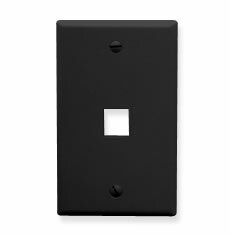 RJ11- 4 Conductor Phone Wall Jack Cord Modular Plug - Modular Plugs for Telephone Wall Jacks. 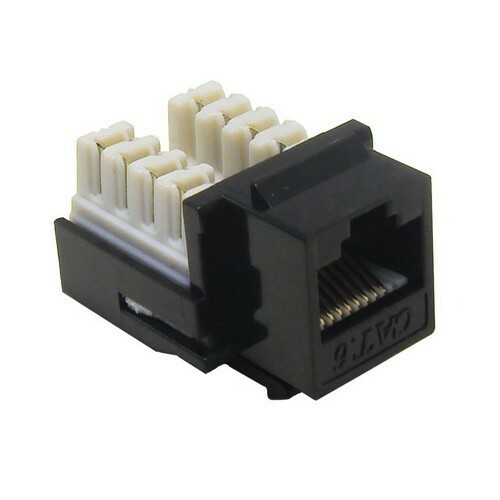 Cat6 (RJ45) Unshielded Keystone Jacks Black - A color-coded Cat6 Keystone Jack for Datacommunications applications. 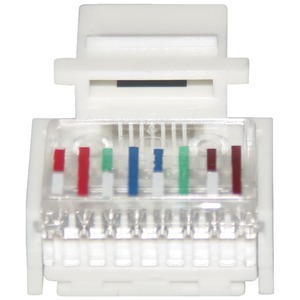 RJ22 Hand Cord Set Modular Plugs - Modular Plugs for Telephone Handsets. 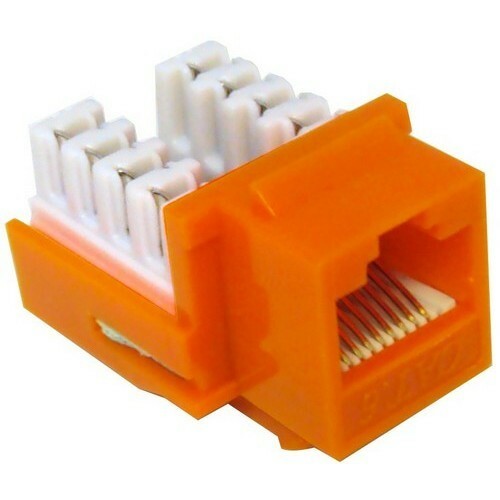 Cat6 (RJ45) Unshielded Keystone Jacks Orange - A color-coded Cat6 Keystone Jack for Datacommunications applications. 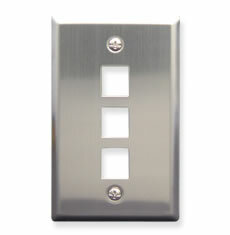 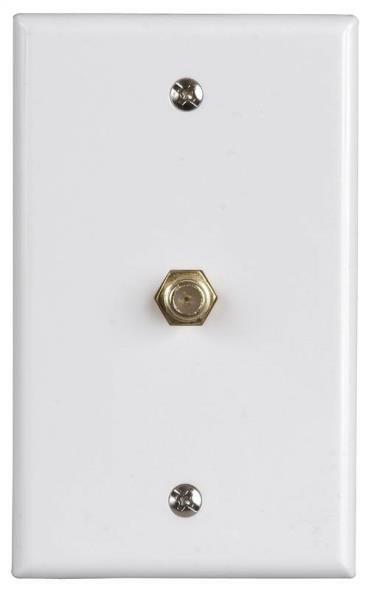 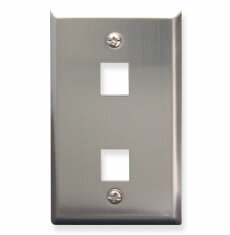 Decorative DataComm Frame For Keystone Jacks and Modular Inserts Two Ports Lt. Almond - Impact and Oil Resistant Decorative frame for Keystone Jack and Modular Inserts. 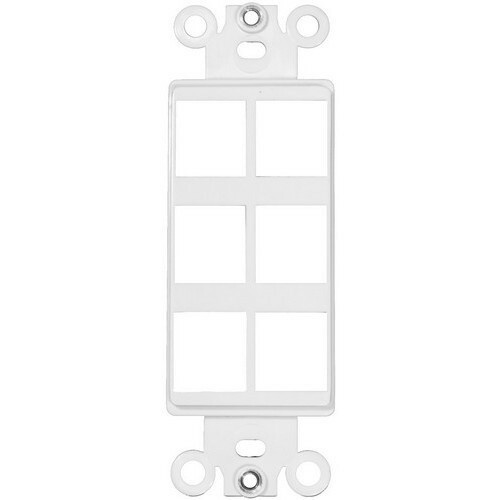 Decorative DataComm Frame For Keystone Jacks and Modular Inserts Six Ports White - Impact and Oil Resistant Decorative frame for Keystone Jack and Modular Inserts. 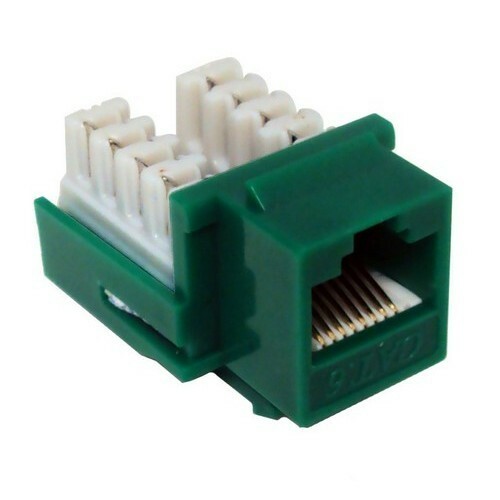 If using other manufacturers Keystone jacks maximum acceptable Keystone jack width is .65"
Cat6 (RJ45) Unshielded Keystone Jacks Green - A color-coded Cat6 Keystone Jack for Datacommunications applications. 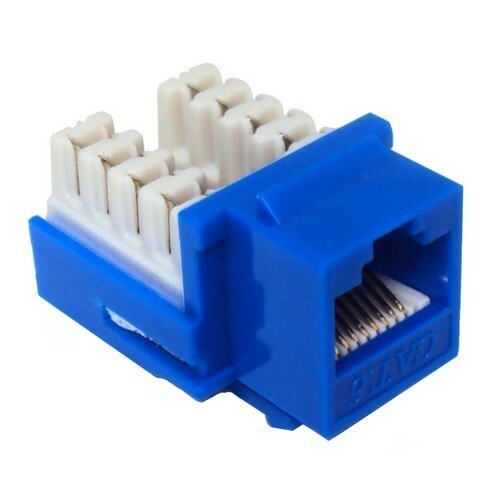 Cat5E RJ45 Wall Jack Modular Plugs Stranded Cable - Modular Plugs for Voice Data Cable & Patch Cords. 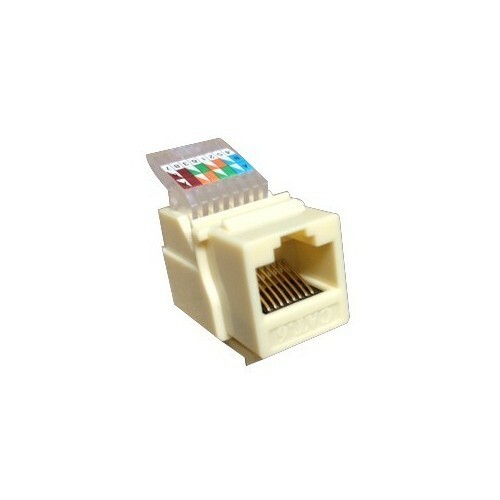 Cat6 (RJ45) Unshielded Keystone Jacks Lt Almond - A color-coded Cat6 Keystone Jack for Datacommunications applications.